Ready to put your home on the market and begin selling your home? It’s good to consider that there are many factors that go into selling a house and whether you should sell in the spring or now, winter time. As with every decision in life, there are pros and cons, and choosing when to sell a home is no different. It is the end of the year, but there are still several good reasons to consider listing your home this year. Before you make this decision, remember, every real estate market is unique and so is your financial situation, so consult an experienced real estate agent before making the leap. 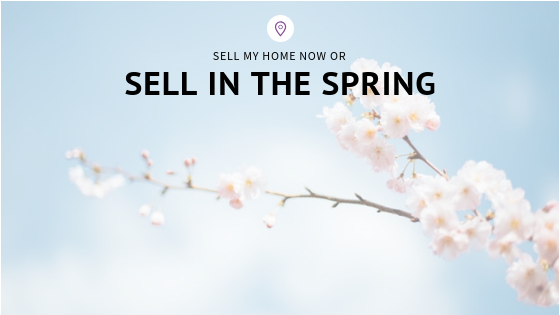 Many homeowners believe selling during the fall and winter months is not a good idea and that waiting for spring is the best time to sell their home. This is not factual. Most real estate markets do experience a “spring rush” every year, and it is a great time to sell, but the fall and winter months are great times as well, it just depends on your situation. First and foremost there is less competition in the fall/winter time. People are not wanting to deal with putting their home on the market during this time because of the holidays and the misconception that waiting for spring is best. Not only will less competition increase the probability for showings, but it will also increase the probability that an offer will be received and you will get the maximum amount of money for your home. Less competition means there are more buyers! Serious buyers are out there and they are looking all year long, it doesn’t matter if it is fall or winter. If someone wants a new home they do not stop looking, no matter what time of year. 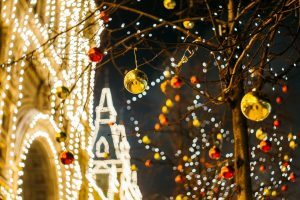 Some buyers actually prefer seeing what their future neighborhood looks like during the colder months and holiday season. Are there a lot of kids enjoying the outdoors? What are the holiday decorations, weather conditions on the streets and more! Plus, don’t forget some people don’t have a choice but to move during this time because of job transfers. This creates an urgency to find a home, and yours could be the perfect house in the perfect location for them! The holiday season brings out emotion and is a great time to stage your home! Staging, what some people believe, is what sells a home. It can be hard to keep up appearances the whole time your home is on the market. 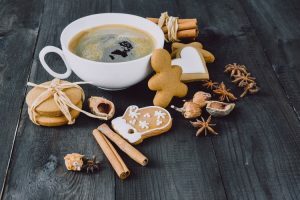 Simple “seasonal” staging such as adjusting the color of the decor or having an aroma in the air, such as pine, fresh baked cookies and more, can go a long way with some potential buyers. This can be the difference between your home selling or not! 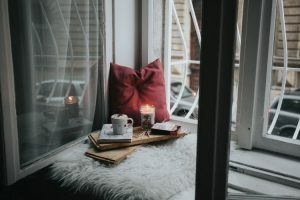 The emotion your home gives when it appears warm and inviting during the dreary weather season could sway someone to go ahead and purchase your place now. Buyers and sellers alike will try and push for quicker transactions during the fall/winter time. The fewer number of transactions means everyone involved will have less to do. The mortgage lenders have fewer loans to process, attorneys have fewer closings to do, and home inspectors have fewer inspections to do. All of these factors should undoubtedly lead to a quicker transaction and closing for all the parties involved. The truth is, when you’re ready to sell, it doesn’t matter what season it is. Real estate markets change from year to year, from month to month. They change from city to neighborhood. It will always be very difficult to time the market. The best time to sell is when it’s right for your goals and situation. Why Wait Until Spring to Sell? I know that spring has been the traditional “selling season” for real estate, but the two biggest reasons that the fall and winter can be a great time to sell are that you have less competition and more motivated buyers. So if you have any questions about putting your home out there and getting started on this journey, contact me today!